The children in the Efthimeio Centre, with the assistance of their trainer, learn the process of wood as well as glass painting. They create images and through the year, depending on the season, they make Easter candles and Christmas decorations. 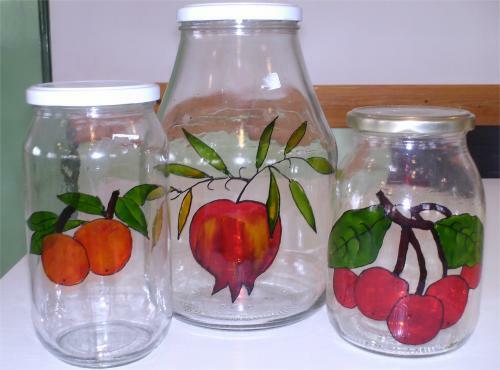 Decorative pomegranates and glass vases in the kitchen. 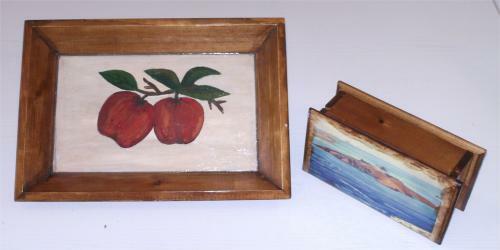 On the right, plate and decorative box with painted representations.